Today we needed to get as close to Oskarshamn (Oskar’s Harbor) as possible in order to pick up a rent car for our day off, but far enough away that we could camp. Partway through the route, we landed on a terrible gravel road – a seemingly endless expanse of dirt covered in a minefield of large but passable gravel that our skinny road tires bounced off and shot sideways. During this beautiful, but rocky section we despaired of covering any ground today. It finally ended and one flat tire later, we made it to the coastal town of Figeholm late in the afternoon with the wind whipping and under ominous gray clouds. We stopped at the grocery store and Rob made the amazing purchase of a small package of bacon. Then, we followed the cycle route sign out of town. Quickly, I realized that we were no longer on the map cycle route, but we continued thinking it had just been rerouted. Maybe some new section had been built. Ten km down the road going the wrong direction, we gave up, backtracked and followed the old route, which looked like someone’s driveway at first. Exhausted after 107 km, we finally found a camp next to a lake not far from the highway. A German couple was also exploring it for camping, but it was too loud for them. We didn’t care. They gave us the brillant tip that a free tourist attraction of a preserved organic farm was just a km down the road with bathrooms dispensing hot water into sinks. YAY!!! Best sink shower ever. Also, OMG bacon appetizer followed by cheesy ramen. I thought Rob was crazy putting cheese is ramen, but it is so good. On the crummy gravel road, we met a touring cyclist from Moscow, who was doing this without a good map. Considering how many navigation we had with gps enabled phones, I’m not sure how he was faring. 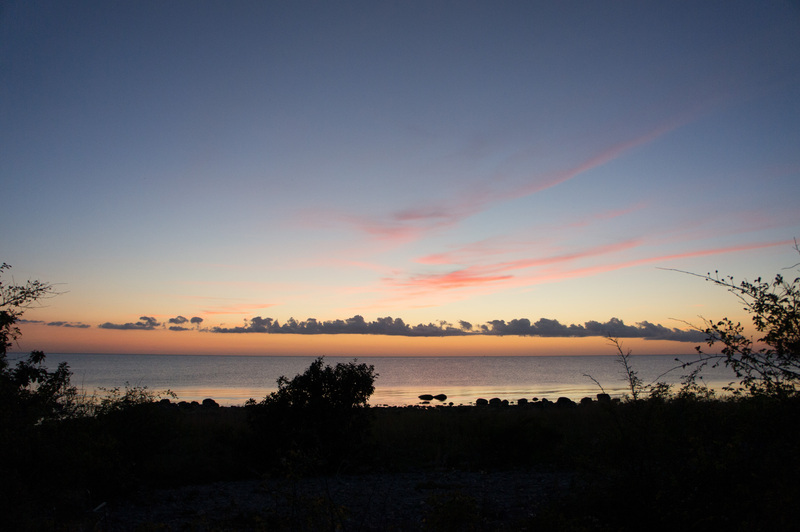 Today, we got up at stupid o’clock to bike into Oskarshamn and pickup our rent car. After biking 20 km into town, we realize that the car rental place is incorrect in the Bing Maps data as we get our second flat tire of the trip. This must have been the first day of school because there was a parade of children and parents headed to schools around town as we fixed the flat. The car rental location was finally located outside of town and turns out that it’s a Hertz/Skoda/Volvo dealer. Our rent car is a Volvo XC70 Euro diesel edition. We couldn’t believe it. It has all the bells and whistles. Rob has fun with the car-distance cruise control, land departure warnings and diesel engine. 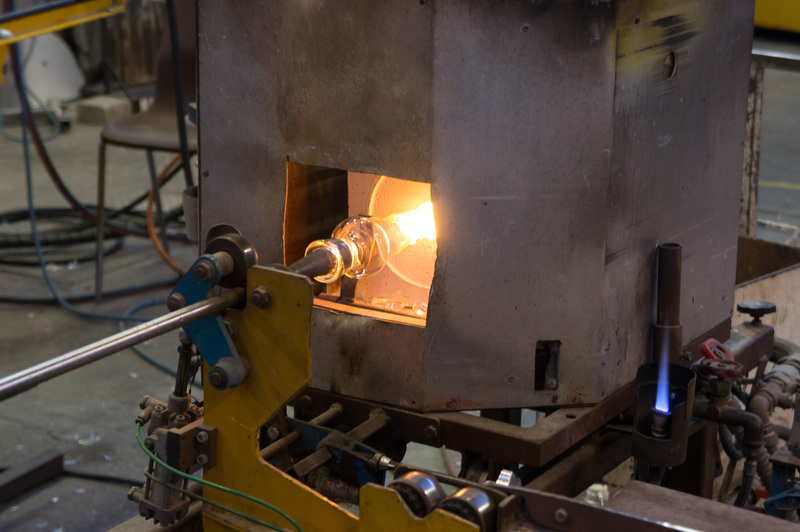 We hit the road head to Glass Country visiting a few glassworks. Kosta, the big production facility, had a huge hot shop that you could wander around. Small teams of glass workers made a ton of identical pieces in a well-choreographed assembly line. The store showcased more interesting and more hideous objects including a set of huge glass makeup objects. 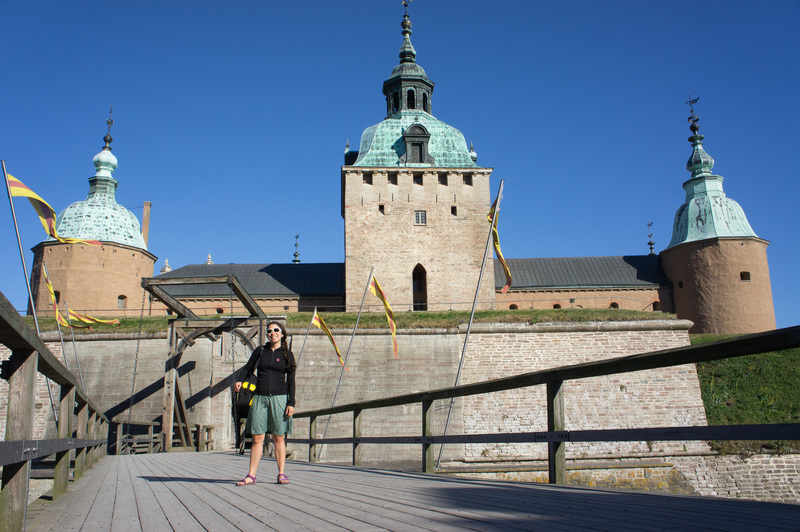 We finished the day in Kalmar exploring the slott (castle) and seaside town) before heading back to catch our ferry to Gotland. 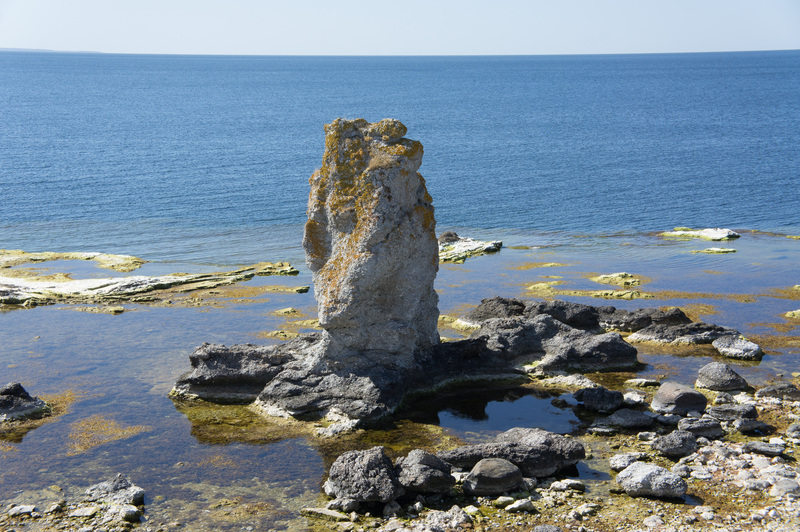 Gotland, Sweden’s largest island, was once the home of the Goths. It’s biggest city, Visby, is a Unesco heritage site with intact city walls and 27 of 29 of its original towers. Arriving after midnight, we pitched camp in a park next to the wall. Biking away from camp, we promptly passed a no camping sign. Oops. It was facing a different direction than the one we came from. After a quick store run and quite possibly the nastiest (but free) public restroom, we checked our bags at the TI and took a pay-what-you-want tour of Visby. Our tour group also included a number of folks from the US, including a couple from Camano Island. It was a really neat medieval town. Apparently we missed an amazing Renaissance festival by a couple weeks. Our guide mentioned that he allows runs into a guy with a 40kg armor suit and wondered how much his airline baggage fees must be. The walk around town included a scratch and sniff stop at an old house to smell the local tar. This stuff coats all the old houses and has a slightly burned pine scent. Building in Visby date back to 1100 or 1200 AD. Visby was another Hanseatic League town (German), but eventually overtaken by pirates after ship technology improved (larger ships couldn’t use the harbor and had longer range). Eventually the Hanseatic League folks got sick of the pirates attacking, so they eventually destroyed most of it (except the German church). They shot their ship ballast from catapults and you can still see a piece stuck in one of the old towers. When the tour finished we headed off to meet our Warmshowers (Couchsurfing for cycle tourists) hosts on the east side of the island. On the way we detoured by the Hogflint lookout for a last look at Visby. 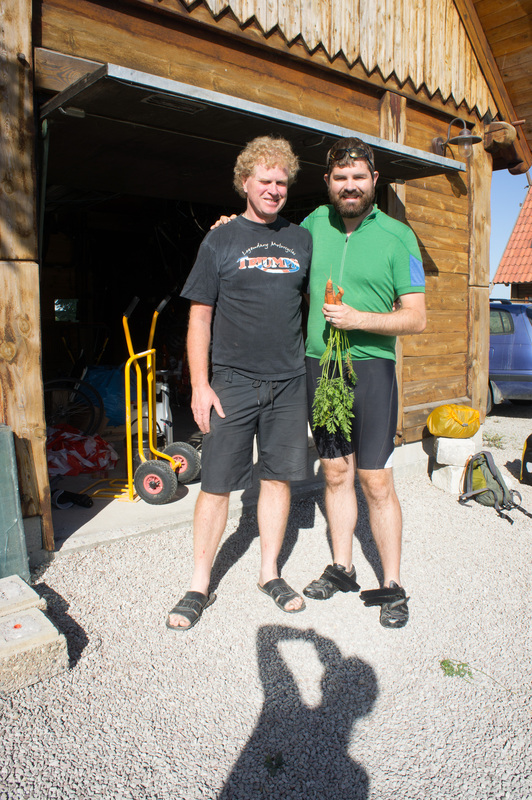 55km later and one endless headwind, we arrived in Norrlanda at the home Philip and Lene. They were awesome Warmshowers hosts! They cooked us an amazing dinner complete with Philip’s childhood snack ( a rough cracker a Swedish caviar spread – he compared it to vegemite). All the veggies were grown in their large and lovely garden. We stayed in the backhouse which they are in the process of renovating. 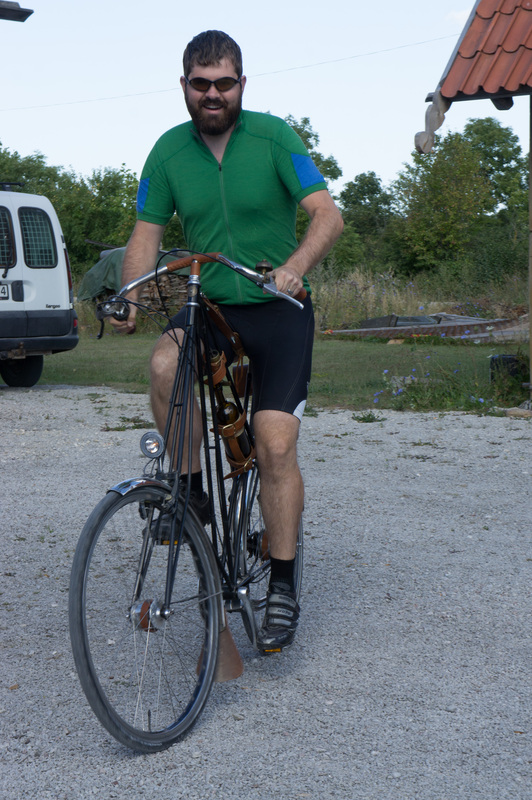 In the morning, Phillip took our tandem for a brief ride and he let Rob try his neat vintage cycle. He sent us off with a large zucchini and a handful of carrots from the garden. We need to go track down a documentary that Lene mentioned called Bikes vs. Cars. Rob riding our Warmshower host’s bike. Rob and Philip, one of our Warmshowers hosts. 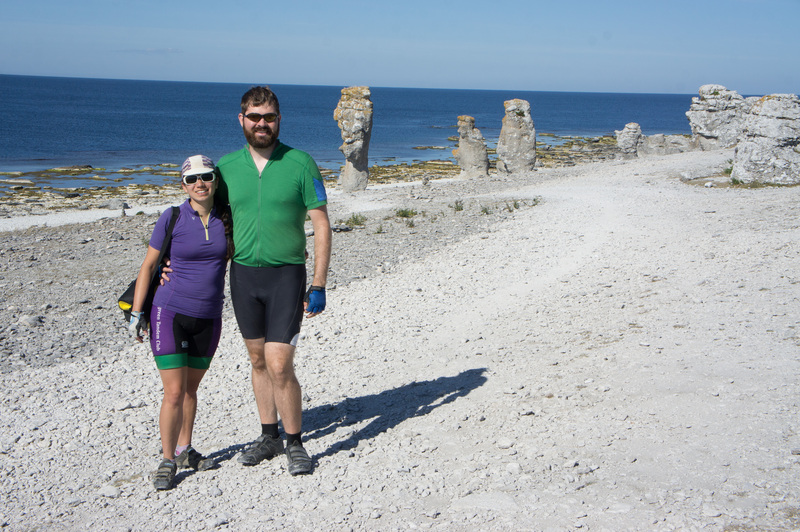 With one day left to explore the island, we set off for Faro Island (Sheep Island) a short ferry ride north of Gotland. Faro is known for all these crazy formations they can Langhammars. We biked out to the coast line with the largest concentration of formation (a natural park) and followed a band of cars along a scenic coastal road with lots of pullouts. Langhammars on the Faro Coast. Many of the pullouts had special disposal cans for the one-time use grills. 🙂 Upon returning to Gotland, we looped around the north coast via the Blue Lagoon, an old quarry turned swimming hole. After a quick snack a beautiful albeit windy lake park, we headed out for a quick dip to clean off our sweaty, salty bodies. The water felt great. Rob jumped in Chamois and all. Unfortunately we couldn’t camp there like we saw many folks doing. Our ferry back to Stockholm was to leave Visby at 7:30am the next morning and we need to get at least within 20km before camping. Pushing on for a few more hours, we finally found camp near the beach after a total of ~100miles on the day. Rob cooked an amazing dinner of red thai curry noodles chock full of veggies. YUM! Another day of waking at stupid o’clock to pack up camp and bike to the ferry. I was hoping to pick up pastries at a store, but none of them opened until 8 or 9. Grrr. At least we learned something from our previous ferry ride. We boiled water in the microwave and made packages of miso soup that we ate along with leftover bread and oatmeal that Rob splattered all over the microwave. We also managed to grab one of the last tables with bench seating, so we could get some sleep. Finally arriving in Nynashamn, I finally got my pastries. Rob picked the best one of the trip – a danish with blueberry and cheese. SO good. Then we caught a very peaceful regional train to Stockholm (~ 1hr). We found a bike area and had everything set up, then two stops later a whole school of elementary aged kids gets on the bus. They asked where we are from. Upon hearing the US, the immediate response was “Are you from California?” Sigh. Eventually another field trip got on too. So much for a quiet ride back. Upon arriving in Stockholm, we ditched our stuff at the hotel and acquired a massive bike box to pack up the tandem in while we had the hotel room. Then, we went shopping for dinner. Rob and I decided it was time to try a one-time use grill. 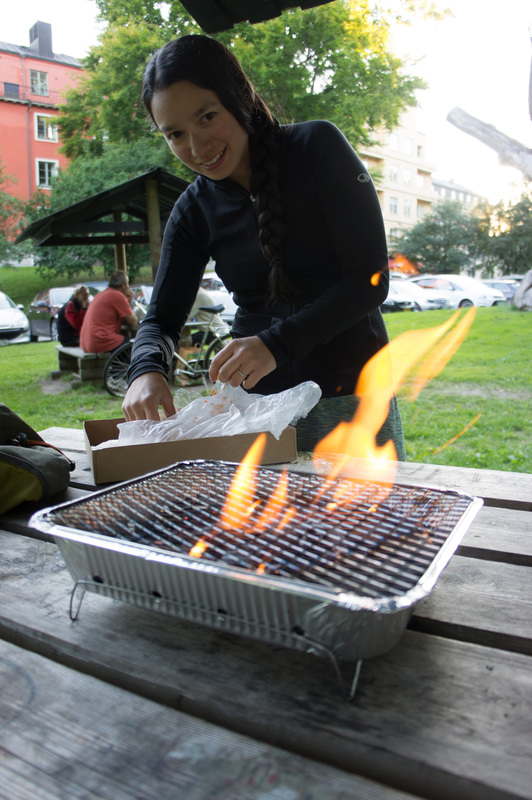 Two grocery stores later, we were still grill-less and wondering if they were banned because of the dry weather. The third store, however, had a massive stack right near the front door (only 29 kor ~$4). Two 10 kor packages of sausage and a tube of dill potatoes rounded out our leftover veggies. A short ride to the garden isle near Tivoli lead us to a cluster of covered picnic tables. Some older Swedes were enjoying beers at one table. We settled in at the next one and opened a beer from Poland we had stashed with our cruise luggage and set about grilling. It took a bit for the coals to be ready (and we weren’t exactly patient), but we managed to grill a pretty good dinner on it. Prepping the one-time use grill for dinner.